Elsa Tolentino: How can you restore the trust of the people in the justice system in our country? Chel: It’s easy to do that as long as there is a political determination to improve the justice system. Ang problema, hindi napaguusapan, wala sa national agenda. Why is our justice system in a bad state? Number one, we lack judges and prosecutors. We have to fill the vacancies. Twenty per cent of trial judges’ positions are vacant, 34% of prosecutors’ posts are vacant. That’s why cases take so long in our country. Second, kulang na kulang ang budget. The judiciary receives not more than 2% of the national budget. Next, we have to improve judicial accountability, judicial transparency. The reason people don’t see judges as accountable is it’s hard to get their SALNs (Statement of Assets, Liabilities and Net Worth), mas madali pa nga makuha ang SALN ng Pangulo, mga miembro ng executive branch, at Kongreso. Chel: No comment na lang ako dun. Chel: The SC has its own set of rules which are different from the national law, R.A. 6713 (which defines the code of conduct for public officials—WGV). For members of higher courts, you have to file an application to look into the SALN, and its approval is not automatic—the Supreme Court has to meet en banc to decide on the application. For lower court judges, it’s a bit easier. But for SC justices, it’s discretionary on their part. The lack of transparency is one reason why there is so little confidence in our justice system. Another reason is the inability of the Ombudsman to investigate the judiciary. The Ombudsman is the watchdog, it should be the Ombudsman who should investigate and prosecute public officers. But the Ombudsman can’t do that when it comes to members of the judiciary. In 1993, a judge who was charged with falsifying a report filed a petition in the Supreme Court to enjoin the Ombudsman from investigating him. Will: The SC agreed with him? Chel: Yes. The SC ruled that the Ombudsman cannot investigate a member of the judiciary for alleged criminal acts unless and until the SC has administratively investigated that person first. Kaya, kahit sinong judge yan, hindi man nila ma-lifestyle check. That should be clarified. The Ombudsman must have the power and should practice that power. There should also be a strong message from the legislative and executive arms, that the judiciary must follow R.A. 6713. Chel: Those are the main reasons why there’s no confidence in the justice system. We also have a very low—30%—conviction rate! That means only three out of 10 get convicted here. The police and prosecution are supposed to work hand-in-hand, but the police don’t base their performance on conviction rates. For them, their job is done once the case is filed with the prosecutor ‘s office. The performance of the police and prosecution must be measured in terms of conviction rate. In other countries, it’s as high as 90%. The police must work hand-in-hand with prosecution until the end of the case because the prosecution has no resources, for example, to look for other witnesses if the main witnesses do not show up. Only law enforcement can do that. The second reason: cases take so long. A study showed that 40% of complainants walk away from their cases because of delays; sa tagal ng kaso nawawalan sila ng gana. Will: Ayaw na nang aggravation? Chel: Oo. Solvable ang mga sakit ng ating justice system. Hindi naman cancer, malala ang sakit, pero kayang i-treat. Why did I decide to run? I want justice to be part of the national agenda. Why is corruption so rampant, why are drivers so undisciplined, why can we not dismantle smuggling cartels and criminal syndicates? It’s because of the weak justice system. The problem is not people, we have very good people; it’s not infrastructure, we are on the right path. It’s the justice system. Justice is all about accountability. Politicians don’t like to talk about the justice system because they might be the first to be held accountable. Justice is about empowering the poor. Politicians don’t like to talk about the justice system because if we have an enlightened people, they may not even be there after elections. Will: Kaya mo ba ‘yan? Chel: Sanay ako dyan. I think it’s a Diokno trait. I’ve been doing it all my life. Chel: We are living under a government that is perpetuating a system of lies. Sabi nila walang EJK, alam naman natin meron talaga. We have sovereignty daw, but we cannot fish in our own waters. Meron naman daw human rights, ginagalang ang mga babae, pero kitang-kitang hindi tutuo. They are forcing us to swallow those lies. Chel: The only way to fight it is by truth. Will: Nabuhay si Ka Pepe… naluluha ako sa tuwa. Mabuti ‘andyan ka pa. Pero kakayanin mo ba? Rita Hans-Maclang: If elected as a Senator, how would you restore, enhance, and safeguard judicial independence in our country? Chel: Several ways: do away with quo warranto for impeachable officials. It has a devastating impact on the independence of the judiciary. Natatakot silang ma-quo warranto. We have to prohibit the use of narco lists, and the putting of judges’ names in narco lists. Ang sama ng epekto niyan sa mga hwes, hindi naman siya evidence-based. Natatakot silang maisama sa narco list o tawaging drug coddler kung iabsuelto nila ang mga inosenteng akusado sa mga drug cases. Will: Drug lord ba si President Duterte sa tingin mo? Chel: H’wag mo nang itanong ‘yan. Cha Coronel Datu: What bill or bills would you be proposing if you win a place in the Senate? Chel: Amend the Witness Protection Act so that whistleblowers can testify right away. Whistleblowers who expose large scale corruption seek witness protection because their lives are in danger. They are put in a safehouse and given security, but it takes forever for them to testify. So instead of those under suspicion being in jail, it’s the whistleblower who is unable to move freely, under guard while the accused are free. That would be okay if it’s temporary. But when it takes years, whistleblowers are in a state of suspended animation and cannot move on with their lives. A simple amendment: within six months from admission into witness protection, there should be a hearing where the witness testifies and says everything, names everyone involved. That testimony will be recorded and will form part of the trial, even if the trial takes place five years later. After testifying the witness can be relocated, his or her identity can be changed and they can resume a normal life. Ike Calicdan: Why do we need people like you to create and enable laws that will place the Philippines back on track to self-sufficiency and economic stability? Chel: You can’t have those without a justice system that works. Because of my first-hand experience, I know what its problems are and how to solve them. Some of my winning cases: the writ of amparo case for the Manalo brothers, which eventually led to the conviction of General Jovito Palparan, Jr.
Just recently, I was counsel in an environmental case involving coal-powered plants. They are one of the worst emitters of pollutants. They are not being properly regulated by government agencies. We filed a petition for mandamus to compel government agencies to do their duty since they were not implementing the laws. We recently obtained a favorable ruling from the Court of Appeals in that case insofar as one of the government agencies is concerned. (Dean Chel pauses and reflects) We cannot have progress without a justice system that works. A few weeks ago, I filed a case on behalf of artisanal fisherfolk who are severely affected by bigger vessels that are capable of catching 100 times their catch. The case is now pending. Several freedom of speech cases, one was a case which has me as respondent for allegedly violating the sub judice rule. The SC said I cannot be judged in contempt for talking about a pending case because what I said did not pose a clear and present danger to the administration of justice. Will: Nagkasabay kayo ni Imee sa pag-file ng candidacy? Chel: Oo. Nabigla nga ako, kami pa ang nagkasabay. Will: Do you expect an apology? Chel: An apology has to come from the heart of the person. It cannot be demanded. Edgar Lores: What is your totem animal? Chel: (Without missing a beat) Turtle. Will: Because of the movement of the justice system? Chel: Hahaha! Could be, because in the end the turtle wins against the hare. Bert Martinez: Lucky to attend the lecture of the late Sen. Jose W. Diokno in “Trial Court Procedures & Practice” at the U.P. Law Center in the early 80s. Fortunate to attend his son’s lecture on the same subject at the SC, a required seminar for lawyers in the mid-2000s. Honestly, the father is a better lecturer, complete with case planning forms, study, development, etc., applicable and used in each case. My question to you is: Why enter politics? Will: Ang sinasabi, mas magaling ang tatay mo. Chel: A spring cannot rise above its source. Will: Oo nga ano? But your father likes you to overtake him? Chel: Oh, he wouldn’t mind. Will: Does your Dad visit you, even in dreams? Chel: Yes, he does. There’s this book I had wanted to write, on trial techniques. He said in a dream to write it already. The following morning, I told my Mom about the dream. She said, go and write the book. I said I don’t have the money. She said, “Ako ang bahala, basta you write.” Now it is a staple requirement for anyone who appears in court. Nuj Takis: Kailan magkakaroon ng ngipin ang CHR? Will: Wala itong prosecutorial powers? Chel: Legislation needed. Ang contemplation, hindi siya binigyan ng prosecutorial powers, but over the years, for example, kung ang under investigation yung government mismo, of course, the Department of Justice will go easy. Will: Pag nananalo ba yung eight ng Oposisyon Koalisyon, mapapalaya si Senator Leila? Will: Pwedeng mag-issue ng resolution? Chel: Yes, pero wala rin. Will: Papano na si Senator Leila? Chel: The case will fall on its own weight. Will: Eh, wala naman witnesses. Will: You have a next appointment? Will: (While fixing my things.) Do you think you will win? Will: You choose your battles? This interview is a picture that paints 10,000 words about the ills of the justice system. The picture is harrowing… like the EJK pietas. Although I am doubtful, perhaps Chel is right. Progress in justice begins with small steps. And one of those steps is named Chel Diokno. A fair justice system is a guarantor of progress. Who will invest money – and thereby create jobs – in a country where rule of law is iffy. Up to now only the big players (like most BPO firms) dare to do that, and even they now have to be careful unless they are Chinese.. Meanwhile, small investments that also create jobs go elsewhere. I know an SME owner here in Germany who has a subsidiary in Hanoi, Vietnam employing 15 SAP programmers. I doubt he would go to the Philippines. High risk of legal impunity. Or all kinds of rip-offs by the powerful. Telling such people to “adjust” is a stupid as telling international Miss Earth candidates not to make waves and be nice to the sponsors. I may be talking in riddles to some, or maybe not. Superb point. When impunity reigns supreme, you have to have economic mass to play. Multinationals can hedge their bets better. They can also put aside money for the eventual costs of lawyers, or call on their politicians back home to remind Filipinos of mutual business relations. Major countries have Chambers of Commerce – the EU even has its ECCP to represent all, but they can do only so much especially if the leadership is hostile to a certain group of countries. Also, a Sanofi Asia-Pacific head can mobilize a certain PR machinery in case someone does arrest him just like that, for example. A small/medium player can rot in jail for no reason at all. There may be a risk of impunity in Vietnam as well, but usually it is just don’t get into politics. Otherwise just follow the rules and you’ll be OK. The Philippines has entitled people with attitude problems who can be pettily vindictive, plus different armed groups (military, cops, NPA, Moros etc.) that may try to extort from you. Of course the attitude in the Philippines is to care only for the biggest players, the strongest superpower as partner, but thousands of small and medium-sized businesses also create jobs. Could be balikbayans, foreign spouses, OFWs and more.. The ills of the justice system as highlighted by Chel are depressing. I knew it was bad… but not that bad. There may be material progress — I’m sure there will be — but the justice system will remain third-world. We will be like China, an outwardly progressive country but an inwardly unjust one. Chel says the solution is easy — political will. I doubt that any administration will have the will to invest in something whose benefits are intangible. Politicians do not see the justice system as infrastructure. Or as infrastructure they can monetarily take advantage of. This is not to accuse Chel of naivete. His likes are necessary to stop the slide to greater chaos. Perhaps I should not compare our justice system with China’s. There is a big difference. China’s is “efficient” because it is coupled with the security forces and the Party. Thus dissidents (like the Uighurs), the corrupt rich (like actress Fan Bingbing), and corrupt party members who are out of favor (like officials rounded up in Xi’s anti-corruption drive) can be easily caught in the net. And with draconian penalties (capital punishment, rumored organ harvesting, re-education gulags, and disappearance from the public eye) and advanced technology (cctv’s, facial recognition, and gait recognition), China is at the cutting edge of crime and punishment. In our case, impunity from justice will remain the preserve of the rich, with inept prosecutors and a Supreme Court affected by groupthink. GMA freed. Enrile and Jinggoy free on bail. More than a quarter of a century to nail Madame Marcos. Ampatuan case still simmering. Who will be surprised if Bong is freed on December 7? And the indefatigable stooges of justice, egged on by presidential ire, will continue to pursue the political opposition. Q: What is your totem animal? Me: (After more than 5 minutes) Turtle. Me: Because the turtle is slow and plodding. Me: Because the world is upheld by 4 elephants that stand on a turtle. I don’t know about totem animals (never really thought about it), but I do have an affinity for desert tortoises here in SoCal, also found in Nevada and Arizona (deserts). They are protected species here, endangered, so every time they found even just a single one walking around during live fire exercises, in AZ , NV , here in CA, China Lake, Fort Irwin and 29 Palms, everything pauses , while officers tasked with environmental protection , transfer these tortoises somewhere else. the irony was beautiful. here we were preparing to unleash hell half a world away, and we’re pressing pause just to save these animals. in a strange way, it always confirmed for me that we were in fact the good guys. 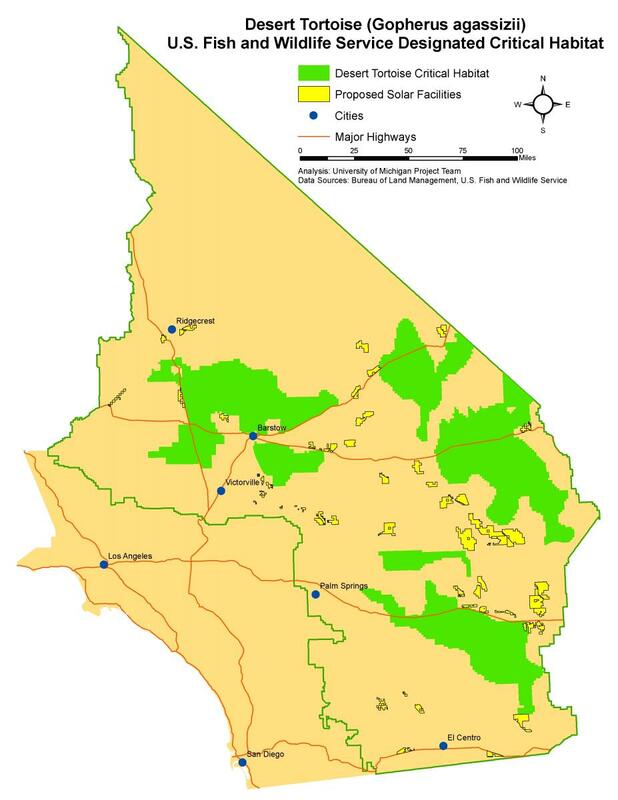 now lately, ravens (or crows) who are now over-populating the I-5 and I-10 corridors (going to NV, the other to AZ, though not so much the I-40, that goes to Flagstaff) have discovered endangered desert tortoises are in fact some good eating. I guess, these environmentalists realized how difficult and time consuming targeted killing can be, now they’ve resorted to https://en.wikipedia.org/wiki/Caedite_eos._Novit_enim_Dominus_qui_sunt_eius. not so easy this killing business after all. Which weirdly takes us back to DDS and the question of when to kill and why. I’m still pro- desert tortoise (these ravens are worst than pigeons) , just found it ironic whenever bleeding heart types get their hands dirrrty. Comments are limited to two links to facilitate discussion and block spam. 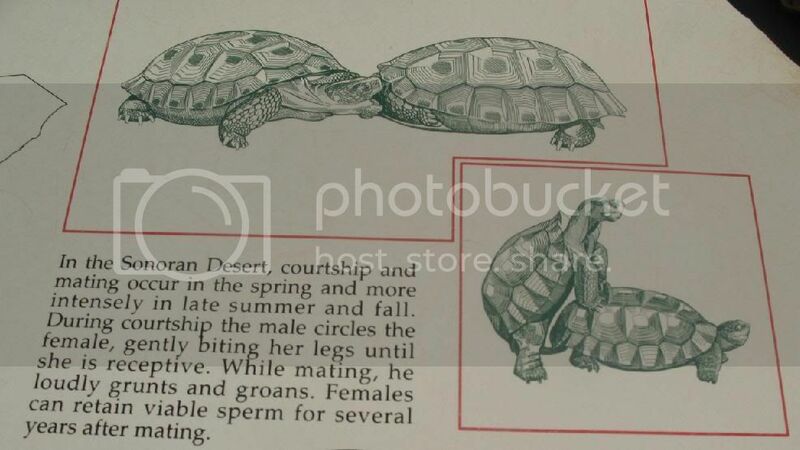 Although I am a great fan of the resilient desert tortoise, I did remove three of your photos so the comment fits the editorial policy of the blog, which is to promote vibrant discussion. Your comments do this. One photo as accent is sufficient. I’ve never understood the use of ‘bleeding heart’ as a disparagement of people of conscience imposing their opinions on people of utility. Better to discuss the specifics of the issue and leave the disparagement aside. I feel the same way about people who call 16 million Filipino voters ‘idiots’ rather than try to understand where they are coming from. In this instance I didn’t use it as disparagement, obviously I’m pro-their cause here, but as juxtapose of two concepts— saving life by killing. Because most bleeding hearts I know are anti-killing, period. Most are vegans. I’m with edgar, why not just let nature take its course? Then I think about global climate change, and the same line of thinking doesn’t operate, so I’m back to pondering the efficacy of culling ravens/crows. The “topologies” are descriptive not prescriptive. Hmm. Many points to ponder. 1. There are different rules for culling/eradication. 1.1. Culling is deemed necessary when one species’ population explodes. 1.2. Culling is deemed necessary when a dominant species preys on another to the point of the latter’s extinction. 1.3. Culling is deemed necessary when a subordinate species threatens a dominant one. 1.4. Culling is deemed necessary when a subordinate species is considered to be regressive. 2. In the case of ravens, rules 1.1 and 1.2 apply. 3. The first two rules are usually applied to non-human species by humans (as an outcome of the earth stewardship concept). 4. The last two rules are usually applied to human and non-human species by humans. 4.1. The third rule has been used to justify Hawaiian cane toad transplantation to Australia and EJKs by the DDS. Addicts are seen as threats to peace and order. Although it is true that the fourth rule applies in that addicts are considered to be subhuman. 4.2. The Holocaust, the communist massacres (Stalin and Mao), and radical Muslim terrorism are examples of the fourth rule. The Latin quote is an expression of the rule. Applying 1.3 and 1.4 to humans is inhumane. I suppose the fundamental question is “is it inhumane to treat other animals like human animals”, and some believe it is. So they eat peas. I wonder if peas feel pain. I personally accept that we are carnivores but ought not be eating each other. We do not need to do that to survive. So I think any excuse to cull humans is bad, wrong, insane, ludicrous, and reflects our inability to rise to our full potential as reasoning and moral animals. As a matter of observation and not to contradict, Hiroshima and Nagasaki were implementations of Rule 1.3. In context, both sides were slaughtering one another and the US calculated Japan would not give up unless the message were clear. It is an argument with no winning hypothetical because we can’t know the outcomes of continuing slaughters. It is the same argument that applies to MacArthur’s return to the Philippines. It is hypotheticals with no proof of any conclusion and fruitless to consider, other than the conclusion that we don’t do very well as reasoning and moral humans sometime. I know what I just said even if it is rather convoluted. You may have to guess. Another way to look at it is the purpose was not to cull but to stop the mutual slaughtering. OT: It’s justice but I feel more is needed to be done. The Sandiganbayan 5th division found former first lady Imelda Marcos guilty of 7 counts of graft and sentenced her to 6 to 11 years in prison in connection with her case that ran for 27 years. The guilty verdict to Imelda Marcos is huge. She will not go to jail because she is over 80 years old. Also, it is a bailable charge and there will likely be appeals. But there are justices who are not yet bought. Justice is excruciatingly slow. It would be nice if this were a snowball that picked up size and speed rolling down hill. Kung sino man yung huwes ng 5th division, mag-ingat sya at baka magpadala ng mesahe ang pambansang berdugo. Thanks Will. I very much agree about fixing the Philippine justice system. Why? 1) High acceptance of workarounds like tokhang – even if they sacrifice innocents – is because many have never seen a justice system in the Philippines that actually works. 2) Laws that are hardly implemented due to punishments not being given practically don’t exist. Well they do exist, but they make as much sense as the recent Miss Earth Philippines statement. Nice-sounding words that strung together mean nothing at all. 3) The system – and the mentality of many – overpunishes the weak and favors the powerful. Actually law of the jungle would be more honest and fairer that what the Philippines has now. Possibly one reason why the country is evolving in exactly that direction nowadays. 1) cooperation between police and prosecution. I read about the weaknesses in this area once. Definitely one of the places to start. In Germany – for example – prosecutor’s offices take charge of investigations pretty early, but have full access to police investigators, can tell them what to do. Better than the recent laws that gave CIDG in the Philippines the right of subpoena, giving such powers to police is dangerous. OK, over here they have to also investigate for evidence of innocence. In the Philippines you feel the Spanish Inquisition still rules, planting black cats. Powers like German prosecutor’s offices might be too much, but Chel Diokno has some other ideas also. 1b) Sup mentioned quick trials for small fry. German prosecutor’s offices can – if the suspect admits to guilt and agrees to it – levy a fine for small offenses, without forwarding the matter to court. Keeps the small stuff out of court, but still effectively punishes and is part of criminal records. 2) Lifestyle checks etc. – of course. 3) CHR with teeth. Maybe the Ombudsman should have more teeth, a bit more like the Romanian equivalent, the Directie Nationala Anticoruptie with around 400 full-time prosecutors. I am so enlightened by interview. My concern on witness protection program are the rapid pace of technologies like facial recognition and social media. The lack of budet, judges and prosecutors will be a big problem requiring baby steps to be initiated by Dean Chel. On prosecution and access to the arresting officers, It is true that most of the time, the arresting officers are only forced to appear if there is abuse involve on part of the arresting officers. Chel Diokno dissects the problem confronting the PH Justice System. Among others, he points to woeful shortage of judges and prosecutors [including perhaps salary incentives at the farther end of the Judicial Food Chain.] He points to Justice getting only 2 percent of the national budget. This situation of fund inadequacy would normally be eased in the course of things if the economy improves considerably. This is where critical thinkers would agree that the Build Build Build Infrastructure Thrust will help hasten the economic development and growth of the country if only implemented reasonably. Cielito Habito an economist and former NEDA Chief typically shies away from politics and concentrates on economic policy issues. I believe he was initially supportive of the concept of the BBB Program, but has been critical, especially lately. I am paraphrasing: he says that since the government — at least ours — is notorious for implementing infrastructure projects, we have opted to abandon the PPP (Public-Private Partnership) mode of implementation which would have injected private business thinking, good at project implementation. Instead the PH has embarked on the theoretically (by its nature) speedy implementation of the BBB Projects through government management using public and loan funding. Habito labeled his article, Fool’s gold? Related Item: Oil Price Movement. 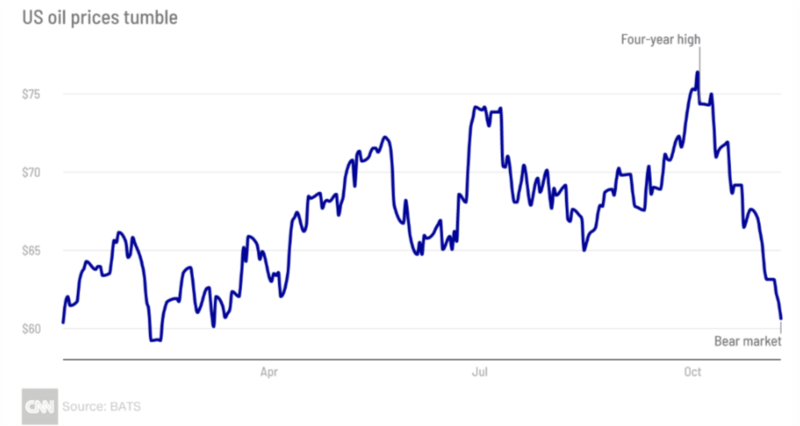 Good if the price stays at the level of $60 for a considerable time — a breather for the PH. Thanks for the reference. Fool’s gold is a superb name for something that is shiny and impressive but fundamentally worthless. 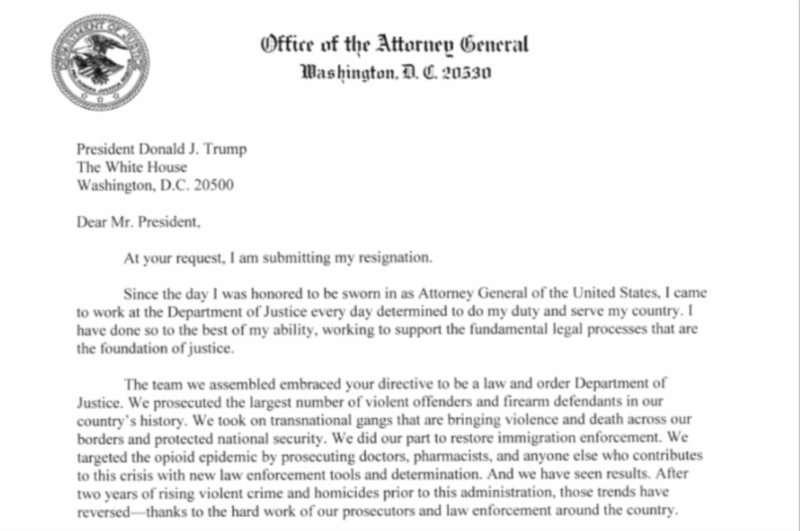 I am impressed by the involuntary letter of resignation of the US Attorney General, Jeff Sessions — involuntary as the first line indicates and undated, meaning it was prepared beforehand and ready to be given when asked by COS Kelly as reported — since Trump, it seems, is not man enough to deliver coup de grâce. Impressed because of the savagery with which Trump treated his Attorney General over the months from Sessions recusal to be involved in the Russia Investigation. 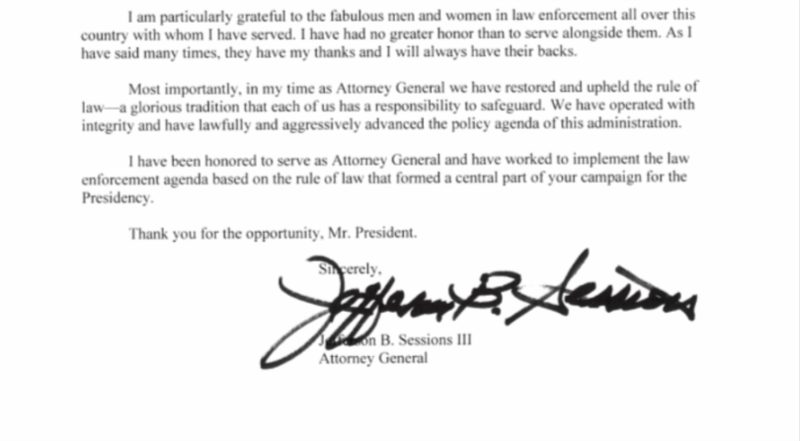 Impressed too in the words he used for his DOJ Staff words which indirectly hits the uncivilized President he served. A beautiful letter to my mind under the circumstance. Off topic. Superb article from Richard Heydarian about China/Philippines. I found it encouraging to know that sovereignty is still intact. I agree — a superb connecting of dots and analysis by Political Science Professor Heydarian. The bad-mannered/ deceitful lizard turned dragon must be contained in its development before the fire it spews becomes uncontrollable. Now, if President Duterte appoints SC Senior Associate Justice Carpio as Chief Justice, with a WPS Wink to boot no doubt Heydarian will come out quickly with an update on his geopolitical analysis. And certainly Xi will read the tea leaves too. This fits well with the timetable: Justice Carpio retires on 26 October 2019 when he turns 70. So the President can appoint another CJ. Hahaha. I love making this scenario. Heydarian via TSH can still make me an excited freshman student of political science. 🙂 I think Heydarian will end up in the Senate in a few years. Carpio or not, any deal other than 60/40 ownership to the Philippines would likely go to the SC where Duterte’s sovereignty would undergo a trial by publicity. If China keeps trying to put Duterte in that position, I think he’ll get angry at them. It’s all ‘stuck up’. OT: Never thought that it’s “unlawful” to take pictures at a PNR station (without a “permit”) for no apparent reason other than for supposed “security” and “safety” risks. Oh I wish security should show me an agency memo, a circular, an EO, a Republic Act telling me why I can’t. Perhaps because the toilets do not have stalls yet? Just trying to take a single shot of rails, not their toilet. He was being wry. I think the PNP is self-conscious about things, what with planted guns and shabu and brutality across the nation. They don’t want something showing up on the internet that would put them in a bad light. Or maybe they thought you look like a commie or something. hehe That is me being wry. Now I remember — the bad toilet design which went all over the town. So they’re overly self-conscious but they don’t want civvies to look into their mistakes. imagine a good chunk of the awesome funds that fuel “Build, Build, Build” were directed towards housing. infrastructure means roads, trains, bridges—but what about houses? And what about the Judiciary? we need tons more money in our social infrastructure—the infrastructure that sustains our social fabric. a “build, build, build” sized effort in both housing + judiciary will no doubt be a real “Big Bang” to the marginalized in filipino society who desire dignity. but then again one can say that about health, education.,.must one be jack of trades, master of none..? on a lark, have been going through stuff about housing. to say that pulling off successful efforts at public housing is hard…is an understatement. only exception to this rule is…singapore…which had a full integrated effort from the start—did public housing more effectively than even the socialists. makes me think—public works i.e. bridges, etc., health, education, judiciary, housing—all these already very complicated in themselves, and together form an integrated set of concerns that are frankly very daunting for any state, any bureaucracy to handle. off the top of my head: maybe there should be legislation and regulations mandaring all public officials (particularly those in the office—and excluding those who already work in the field) to spend part of each working year “integrating” or living with their poorest constituents, i.e. have even department heads spend a week living in marginalized communities and write a reflection paper on it. Better would be: no career without some YEARS in the field. That is, I have heard, the requirement of the UNHCR. Putanginang UN iyan, mga ugok talaga! Field years mean you know what “Skin in the Game” is – Taleb’s (Antifragile author) latest book. Which is what i respect VP Leni for a lot, she has skin in the game. WHO, I heard, had too many people making careers without required field experience, so the bureacracy in its main office in Geneva and in the regions became a “fat stomach”.